Safety chains are used to keep your favourite jewellery safe while wearing it. They are great if you have an expensive piece of jewellery, a piece that's sentimental or handed down to you. You could be worried about wearing it in case you lose it but with a safety chain, you won't need to worry and can wear it with confidence because if the clasp breaks, your necklace or bracelet will be saved by the extra chain. At Kernowcraft, we have high-quality sterling silver safety chain and 9ct gold safety chain for both bracelets and necklaces - it couldn't be easier to add the safety chain yourself. 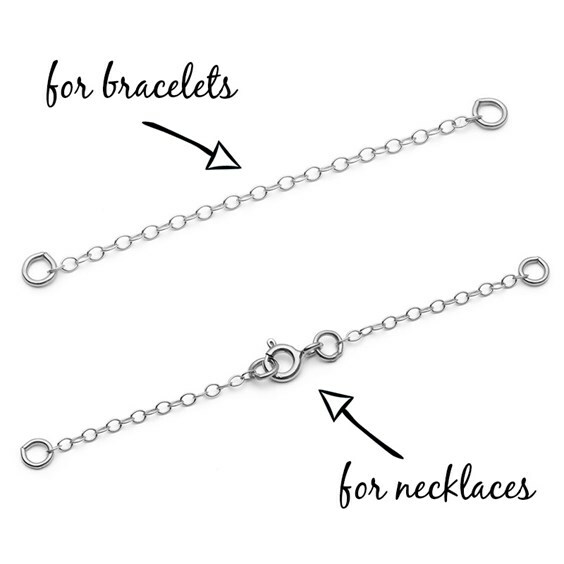 What's the difference between a bracelet and necklace safety chain? A necklace safety chain has a clasp whereas a bracelet safety chain has no clasp, as it will easily slip over your wrist. Watch our video tutorial on how to attach a safety chain to your bracelet - you can use the same technique for necklaces too. 1. Use the pliers to open one of the jump rings on the safety chain. 2. Attach the jump ring onto the end of your necklace. 3. Use pliers to twist the jump ring closed. 4. Repeat the previous steps for the other side of the safety chain.